What sweet jewelry! I love that she gives back with every sale. I love this shade of pink on you! You look so stunning babe, I love you in pink! 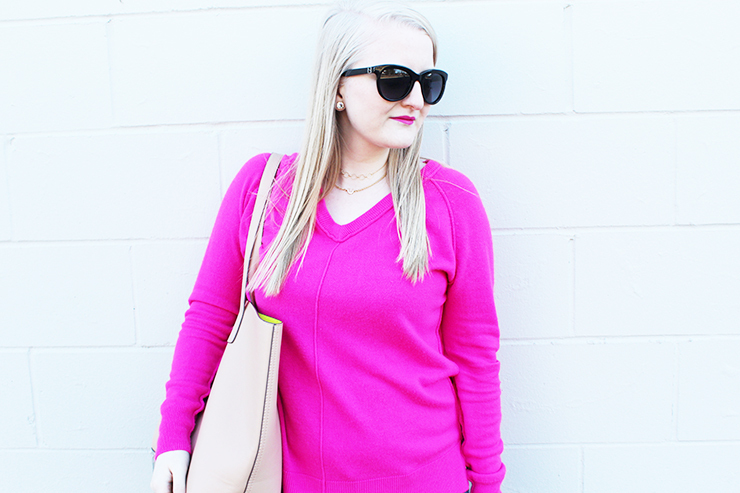 Love this bright pink on you! Perfect color for spring! 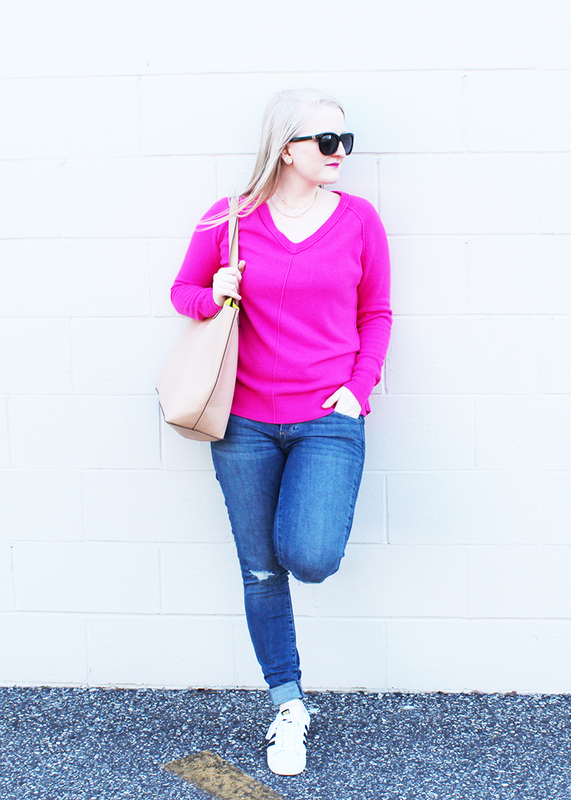 This pink sweater! So perfect! It would look just as great with white chino shorts or white jeans too. Have a great week! This shade of pink was made for you! You look stunning! Gorgeous, I love your bag! Perfect neutral color to balance out the bright pink, and looks super spacious! 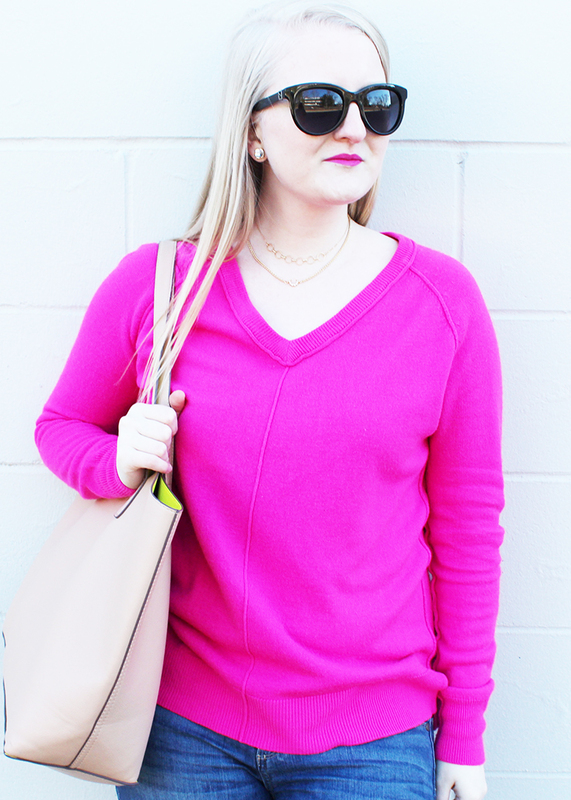 I love that bright pink sweater and the necklaces are are cute! 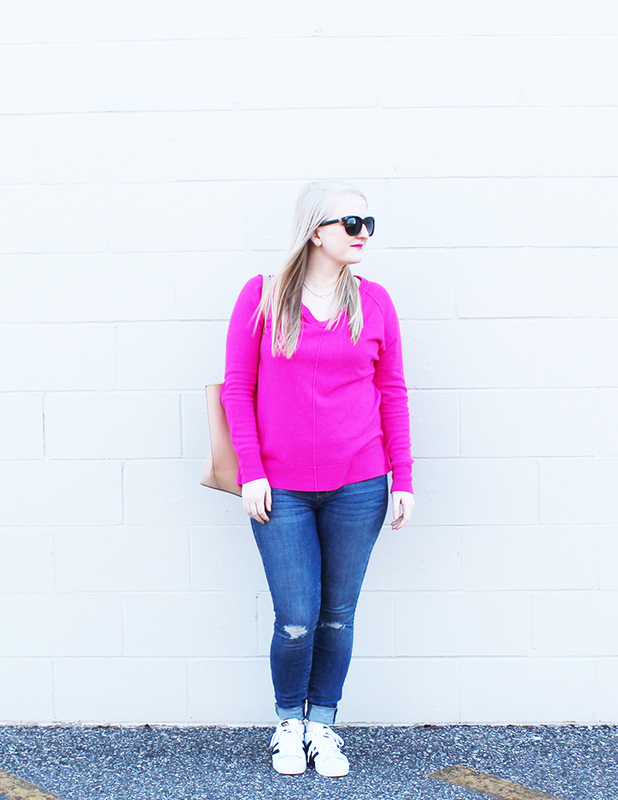 Love that bright pink color, it is so flattering on everyone! I love bold pieces and NEED this sweater!!! Looking FAB!! Such a beautiful and vibrant pink! Perfect for spring! 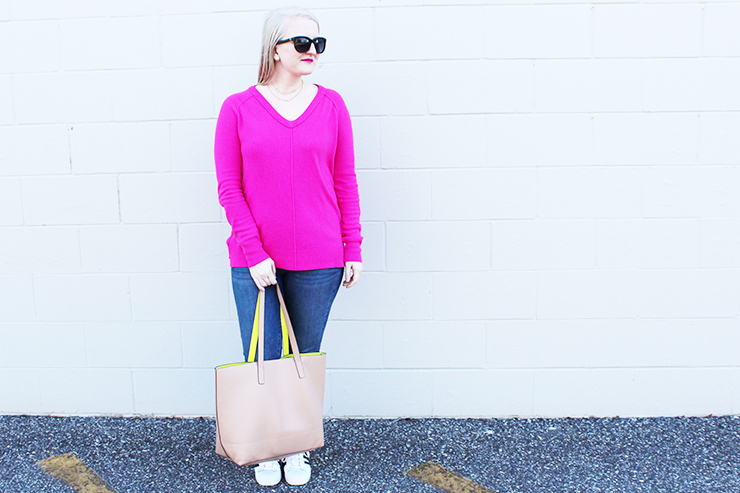 Hot pink looks amazing on you babe! Love the entire look so much! That pink really pops on you! 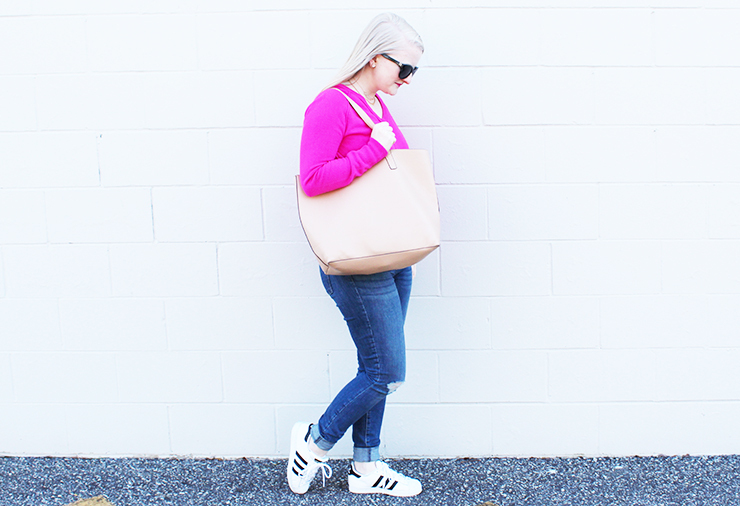 I also love the oversized bag! Love this color! So pretty and love how you styled it! That shade of pink is literally my all-time favorite! That pink is gorgeous on you girlfriend!